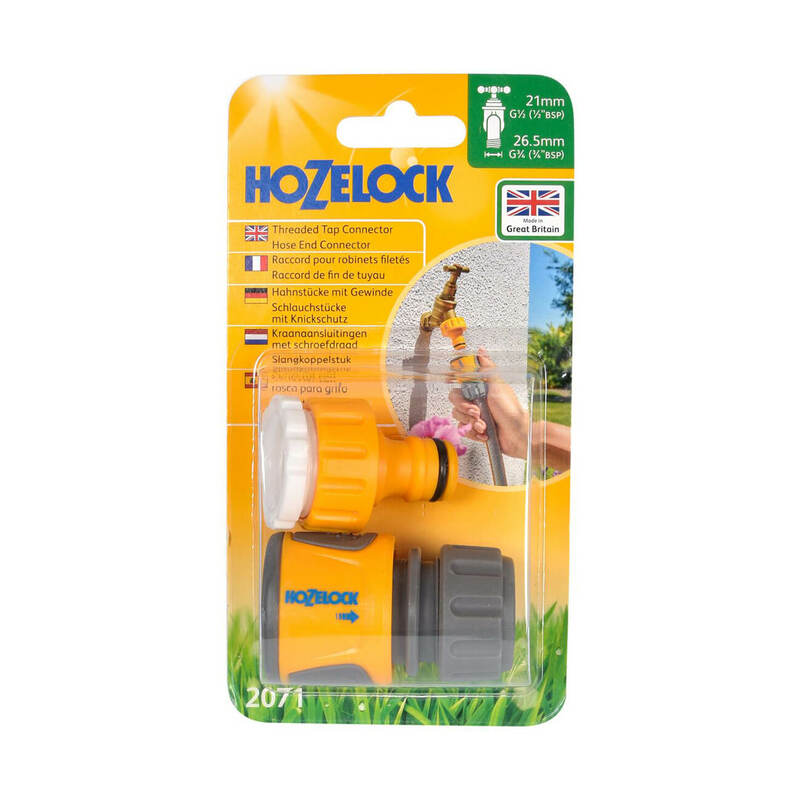 This Hozelock Threaded Tap Connector & Soft Touch Hose End Connector kit has everything you need to quickly and easily connect your hosepipe to the outside tap. 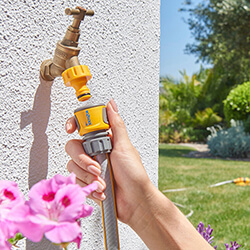 The tap end connector is threaded allowing it to be conveniently screwed on to your outside tap for a leak-free connection. 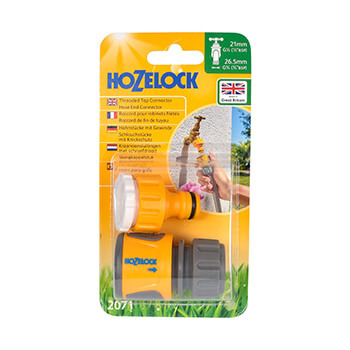 The hose end connector can be attached to a 12.5mm or 15mm hosepipe, and once in place allows the hose to conveniently click into place, ready to be used. The soft grip touch pads provide traction between your fingers and the connector, even when wet, making attaching or detaching the connector easier than ever.